How could this happen?” asked Secretary of State Hillary Clinton in response to the attack on the U.S. consulate in Benghazi, Libya that killed Ambassador J. Christopher Stevens and three others. The rioting by Muslims supposedly “inflamed” by a cheaply produced YouTube film about the Prophet Muhammad was cited as the reason, but we have learned the attacks may have been planned in advance, some to coincide with the anniversary of Sept. 11. What doesn’t Secretary Clinton get? The actions and statements of Islamic extremists have been visible for some time. In his latest obsequious gesture to the Islamic world, President Obama wants to offer $1 billion in “debt relief” to the Muslim Brotherhood leadership in Egypt. The president apparently hopes Egypt’s leadership can be bought off and will then start behaving like us. The president appears to ignore Egypt’s crackdown on political opposition, its sending tanks into the Sinai, in violation of its 33-year peace treaty with Israel, and the persecution of Coptic Christians who are fleeing the country in droves. 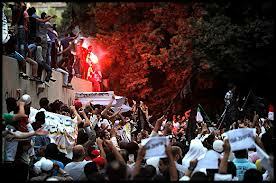 This is what America got in Iran, Egypt and now Libya when we helped topple dictators who were then replaced by radicals. That these and many other provocations against America, Israel and the rest of the West bring no credible response from the United States encourages and enables extremists to ramp up their violent behavior. “Paper tiger” is the term Mao Zedong used to describe “American imperialism” in 1956. “Spineless amoeba” might characterize this administration’s response to outrages performed in the name of Islam. Just as the amateurish video was not the cause of the violent attacks, neither was Mitt Romney’s critique of them. The Obama administration’s foreign policy has failed dramatically. A recent Wall Street Journal headline had it right: “U.S. Policy in Mideast Challenged by Assaults.” Coddling, understanding, bowing and submitting to extremists only leads to more violence. History has shown and common sense tells us they only respect and fear power and consistency. (Find the entire article here). There are two comments that come to mind from this article which bear mentioning in the flow of communications that have been occurring on this blog. First a comment by way of disagreement with Mr. Thomas. It is very easy for Americans, and it seems especially those on the Right, to simply get inflamed and outraged by Muslim behavior, and by President Obama’s alleged kow-towing to the Muslim world. While I myself have my problems with Mr. Obama, I also have problems with cultural naiveté which seems pervasive in America today. At the root of American naiveté is the assumption that, when all is said and done, all people, including Muslims, are just like us, or at least should be. This is both naive and false. It is a wishful carryover from post-Enlightenment and post Renaissance thinking which treats equality as axiomatic, joining it with sameness. While we may rightly say that “all men are created equal” this should not be taken to mean that all people, and all cultures, are the same. To assume this to be true flies in the face of the facts, and leads to cavernous naiveté, boorishness, or both. Anyone with any cross cultural experience, intelligence, and sensitivity realizes that different people groups have different culture patterns. For those of you who doubt what I am saying, or for whom an explanation would prove helpful, consider Francis Ford Coppola’s brilliant emphasis on the theme of honor in the Godfather trilogy. You may remember how the first movie opens up with a man named Bonasera whose daughter has been dishonored by two young men who beat her up in order to take advantage of her. Bonasera comes to Don Vito Corelone (played by Marlon Brando), the Godfather, for revenge. The dialogue, the very first in the movie, which sets the theme for Sicilian and Mafia culture, is all about honor. “Why did you go to the police? Why didn’t you come to me first? . . . We’ve known each other many years, but this is the first time you came to me for counsel, or help. I can’t remember the last time that you invited me to your house for a cup of coffee, even though my wife is godmother to your only child. But let’s be frank here: you never wanted my friendship. And uh, you were afraid to be in my debt. . . You found paradise in America, had a good trade, made a good living. The police protected you; and there were courts of law. And you didn’t need a friend of me. But uh, now you come to me and you say — ‘Don Corleone give me justice.’ — But you don’t ask with respect. You don’t offer friendship. You don’t even think to call me Godfather. . . . Bonasera… Bonasera… What have I ever done to make you treat me so disrespectfully? Had you come to me in friendship, then this scum that ruined your daughter would be suffering this very day. And that by chance if an honest man such as yourself should make enemies, then they would become my enemies. And then they would fear you. 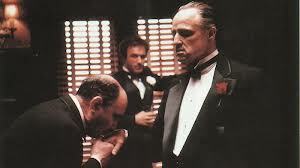 Later in the scene, Bonasera calls Corleone “Godfather” and kisses his hand. Corleone says, “Good,” and consents to do what Bonasera asks, to have the young men killed . . . and why? Because Bonasera has shown honor to him, and in order to restore honor to Bonasera’s family. Elsewhere in the film, the theme of honor comes up again, when Michael Corleone, cooling his heels in Sicily, sees a beautiful girl, whom he wants to have as his own. His henchmen think that he should simply go and take what he wants, but Michael is more savvy than this. He goes through an elaborate social ritual of honoring the girl’s family in order to win their consent that he marry her. One would certainly be a fool to imagine that one could navigate Sicilian, and especially, Mafia culture without regard to honor. In the scene with Bonasera, Vito Corleone, the Godfather (Brando) argues just this point, that Bonasera can only get what he wants if he plays by the rules of honor. But when he has not shown proper respect, he can expect nothing and is entitled to nothing. Michael clearly understands that he is dealing with a highly traditional, honor-based culture, and that he must show proper deference if he is to get anywhere. The point then, whether dealing with the Mafia, or with your other-culture neighbors and business people, or with international relations with other nations and people groups, is to take the trouble to know and to respect their cultural themes, their rituals of relationship. Anyone who cannot be bothered to do so is either naive, lazy, arrogant, stupid, or to put it most charitably, unaware. Whether we like it or not, we must accept that Muslim/Arab culture is no less an honor culture than is Francis Ford Coppola’s Sicilian landscape. And American politicians and governmental agents who refuse to learn the honor-courtship rituals of Muslim culture can expect as little progress in dealing with Muslims as Bonasera could expect from Don Corleone. Some people may not like this, and many do not. Some may feel it demeaning to play by someone else’s rules. But they are wrong. It is like courting a girl: do you take her to the kinds of movies and restaurants she likes, or do you just say, “She’ll have to accept whatever I decide.” People who take the latter approach have short relationships! And governments that despise or ignore cultural factors are fools. It is a point of high honor for religious Muslims that others show respect for their religion, their holy book, and their prophet, all of which they believe are God-given. Anyone who cannot bother to keep these matters in mind should expect no progress, and much explosive reaction from offended Muslims. For them to ignore the offense is for them to themselves dishonor their faith, their holy book, and their prophet, which is out of the question. Therefore, Cal Thomas is wrong if he imagines that the alleged disrespect shown to Muhammad had nothing to do with the recent riots. It had everything to do with them. Yet. there was something else at work, and in this, I find myself agreeing with Thomas’ critique. That something else is the intentional use of riots and mayhem as an instrument of political coercion in the Middle East. As I pointed out in my previous posting (see here), political entities in the Arab world have long used these seemingly, but only seemingly, spontaneous riots as a means of political power and coercion. One need only think about the Palestinian Intifadas, and how Yassir Arafat orchestrated them as instruments of coercion, to get the point. So on the one hand, let’s not be proud: for too long the United States has demonstrated too much cultural boorishness, pride and stupidity in its dealings with cultures different from our own. But on the other hand, let’s not be stupid: these riots are not simply spontaneous demonstrations by an offended populace. They are also cunning and manipulative tools in the hands of cynical power brokers. 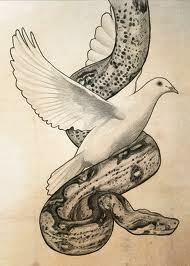 We need to be wise as serpents without becoming snakes, and harmless as doves without becoming pigeons. Rioting and mayhem against the West by Muslims claiming intolerable offense. Is this something new, or is something we have seen before? Certainly, one needs only to go back about 90 years to answer that question. Notice in particular the bold type phrase which points out that the Balfour Declaration of 1917 recognized (not granted) the right of the Jewish people to the revivification of their ancient homeland. This recognition was historic. It was formative. But it was not universal. By 1922, the United States Congress ratified the Declaration. Among the British leadership, Lloyd George, Lord Balfour, and Winston Churchill were all in favor. At Versailles, where the Declaration was promulgated, the western consensus was that the Balfour recognition was morally correct, and that the Jews would prove themselves reliable allies in the region. But forces in the British Foreign Office were diametrically opposed. These were old colonialist Arabists who were convinced that if the British would accommodate the Arab world, the Arab world would become a band of dependable allies from the Sudan in the west to Iraq in the east. They therefore postulated that since the Arabs were upset with the founding of the Jewish State, therefore, nix Israel. To undermine Israel’s existence, they sought to win and bribe select Arab leaders whom the British installed as rulers in the area. For example, the Hashemite Kingdom of Jordan is ruled by a family the British brought from Saudi Arabia to Jordan, formerly known as Trans-Jordan. This territory was comprised of 80 percent of the territory formerly promised to the Jews in the Balfour Declaration! These British Arabists in the Foreign Office even resisted publishing and distributing the Balfour Declaration in Palestine, so much were they opposed to the Jewish state. Richard Meinertzhagen, a career British diplomat, was adamantly against this trend. The Arabists in the Foreign Office had been working on Churchill, seeking to convince him that there could be no peace in the region unless and until the Arabs were given yet more land, to be again taken from what had been promised the Jews, so that land east of the Jordan, originally promised them in the Balfour Declaration, was transferred to the Arabs. Meinertzhagen met with Churchill, unsuccessfully seeking to call him back from the erosion of his own former strong support for a large and thriving Jewish State. Some in the British government actually encouraged Arab rioting, murder and pillage of Jews, as a means of pressuring the British government to reduce Jewish land, and curtail Jewish immigration, since “clearly” these two offenses were triggering the riots. But these offenses were not the cause, but the occasion for manipulative leaders to enrage the masses for political ends. Like the Intifadas in our more recent context, the riots were a tactic designed to weaken western resolve. It was during this time that the trend toward identifying the Jews as foreign agitators in the region, the trouble makers without whom there would be peace for all, became a common ploy, as it remains today. Another tactic the British employed was to disarm the Jews while leaving the Arabs armed. In 1929, on the Jewish fast day Tisha B’Av, Arab mobs attacked Hebron. killing 113 Jews and wounding hundreds more in a rampage that blotted out six Jewish communities. Hebron, the burial place of Abraham, had been a Jewish city for thousands of years. In response to the massacre, the British disarmed the Jews . . . but not the Arabs. Intolerable, you say! You say rightly. Most Jews preferred to believe supportive British rhetoric and promises of continued commitment to the founding of the Jewish State, with the British simply calling for Jewish patience with a policy of gradualism. But British deeds instead revealed a government prepared to renege on an agreement that no longer suited them. Ze’ev Jabotinsky was one of the very few Jewish leaders of the day not fooled by British assurances. He was of course right. By 1937, the Peel Commission had reduced the original land promised to the Jews to five percent of the original amount promised. By 1939, while Jews were fleeing for their lives from Nazi Europe, the Chamberlain White paper abrogated the Balfour Declaration, limited Jewish immigration to 75,000 more. In fact, the British would bar Jewish immigration to Israel for another ten years. All of this placating of the Arabs, seeking to win their cooperation, proved to be gullible folly on the part of Great Britain: Egypt, Syria, and Iraq all allied themselves with Hitler in the Second World War. The British got precisely nothing for all their betrayals, their broken promises, and their clandestine efforts. The lesson for today’s situation is this. The Arab world has learned that the West fears civil instability and riots, and that when Arabs threaten or perpetrate violence, the instinct of the West is to placate them, or to remove the alleged cause of offense, thinking that by so doing, we will win or cement friendship with them. But what is often forgotten, to our peril, is that the Arab world categorically resents Western incursions, and the westernization of their lands. They also feel themselves to be divinely fated for conquest and hegemony, with all memories of vanished glories bringing humiliation, shame, and eventually fury. The Muslim culture is an honor culture, and any perceived attack on Muslim honor causes a disequilibrium that can only be resolved either by massive obsequiousness by the “offender,” or by undeniable retaliation on the part of the offended. This is why cartoons of Muhammad result in such violence, because of offended honor that Muslims cannot countenance. For Muslims to ignore such offenses is to themselves dishonor Muhammad and their own divinely ordained culture, something unthinkable for them. But we must also realize that violence is not merely a response to offended honor: it is also a well-worn tactic in the Arab world, manipulated by wily rulers, as was the case with Yassir Arafat’s manipulation of Intifadas as a political tool. Therefore, any government which capitulates to violence or the threat of violence in the Arab world is not only revealing a naive vulnerability to this old approach, which will only win further Arab disdain, but is also forgetting the lessons of history. The friendship of the Arab world cannot be bought, and the western way of life and flow of history will always be viewed as contaminating and unwelcome. In fact, America is not so much hated because of its relationship with Israel, as Israel is hated as an advance column of the contaminating West. Therefore, while we should avoid needlessly offending Muslim honor, we should also not foolishly capitulate to the blackmail of violence. The British learned the hard way that placating violence and demands brings no reward but disappointment. The foregoing is another in a series of articles informed by my reading of Benjamin Netanyahu’s A Durable Peace: Israel and Its Place Among the Nations. I had the privilege of being at a very good synagogue this Rosh Hashana. 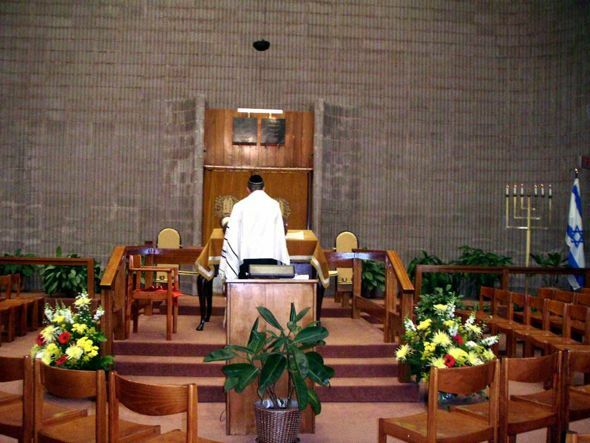 In the Musaf liturgy, which is added to the morning service corresponding to the additional sacrifices that were offered on Holy Days when the Temple stood, there is a prayer Hineni, in which the Cantor prays before the ark confessing his/her unworthiness. It is a pleading for help that he/she might intercede for the people who have sent him/her to plead with God on their behalf. The prayer is magnificent–utterly magnificent. It begins this way, in Hebrew of course, chanted by the cantor who stands pleading before the Holy Ark where the Torah scrolls are kept, symbolizing the presence of the covenant making God of Israel. Here I stand, impoverished of deeds, trembling and frightened with the dread of He Who is enthroned upon the praises of Israel. I have come to stand and supplicate before You for Your people Israel, who have sent me although I am unworthy and unqualified to do so. Therefore, I beg of you, O God of Abraham, God of Isaac, and God of Jacob, HaShem, HaShem, God, Compassionate and Gracious, God of Israel, Frightening and Awesome One, grant success to the way upon which I travel, standing to plead for mercy upon myself and upon those who sent me. Please do not hold them to blame for my sins and do not find them guilty of my iniquities, for I am a careless and willful sinner. Let them not feel humiliated by my willful sins. Let them not be ashamed of me and let me not be ashamed of them. All mankind will pass before You like a flock of sheep. Like a shepherd pasturing his flock, making sheep pass under his staff, so shall You cause to pass, count, calculate, and consider the soul of all the living; and You shall apportion the destinies of all Your creatures and inscribe their verdict. On Rosh Hashanah will be inscribed and on Yom Kippur will be sealed how many will pass from the earth and how many will be created; who will live and who will die; who will die at his predestined time and who before his time; who by water and who by fire, who by sword, who by beast, who by famine, who by thirst, who by upheaval, who by plague, who by strangling, and who by stoning. Who will rest and who will wander, who will live in harmony and who will be harried, who will enjoy tranquility and who will suffer, who will be impoverished and who will be enriched, who will be degraded and who will be exalted. I was profoundly struck this year by the holiness of the service. The Jewish liturgy, in prayers like these, made palpable that we were standing in the presence of the Judge of All, before whom all will one day stand in the Final Judgment. When these prayers are done by a truly called, committed, and skilled Hazzan/Cantor, the sense of deep respect for God himself, of standing in his presence fully known and rightly accused, is profound and overwhelming. It is not that one staggers under a burden of guilt–it is that one is keenly and unambiguously aware of his/her need for mercy. What holiness! As I listened to the Cantor praying so powerfully, as I followed the liturgy, I did not want the moment to end for I felt myself face to face with the mystery and profound weight of judgment and of mercy, not as ideas, but as ultimate realities. Some will say “Where was Yeshua in all this?” I had a somewhat stunning insight about that too, at least it was stunning for me. The Cantor, although sinful, stands before the Ark pleading before God for mercy for the people as the High Priest prayed for the people in the days of the Temple. And in pleading before the throne of heaven for mercy for God’s people, the Cantor is in some small but real measure participating in the role of the Messiah, our Great High Priest, who stands in heaven interceding for us on the merits of His atoning death and resurrection. Most of our Jewish people do not yet know that Yeshua is our Great High Priest . . . but we know. In those moments in the synagogue I was more aware then ever of the holiness of God, of our accountability to Him, of how fully we stand indicted in His Presence, and of our primal need for mercy. I was also more appreciative than ever of the atoning sacrifice of our Messiah, who as our Great High Priest, intercedes for us, and pleads for mercy for us on the merit of His shed blood. Yeshua as our Great High Priest is the Representative of the congregation, made like his brethren in every respect, pleading before the throne of God for mercy on behalf of those very much in need of that mercy, and he is our Chazzan, revealing to us the Name–the nature–of God, and leading the congregation in His praise. Let us never forget who it is before whom we stand, and who it is that pleads for mercy on our behalf at so great a price. Did the Jewish People Have the Right to Return to Israel After So Long? Some, like historian Arnold Toynbee, argue that the Jewish people have no right to return to Palestine after so long in exile. How are we to approach and answer this question? In answering this in the second chapter of his A Durable Peace: Israel and Its Place Among the Nations, Benjamin Netanyahu deals with two related issues. First Issue – How can we say that Israel retains the right? The Jews never relinquished ownership of the land or the right of return. In fact, in liturgy, in literature, in art, poetry, and prayer, as well as in scriptural promise, the return to the Land was a constant lighthouse of hope in the darkness of exile. This right of return for those who never relinquished ownership applies whether others have come in and exercised “squatters rights” or whether the land remained completely vacant. Netanyahu compares Israel’s case with the case of Spain which succumbed to Muslim conquest in the year 711. The Spaniards never relinquished their claim to the land, reclaiming sovereignty there after 800 long years. During that 800 years the Arabs had developed a rich culture there–nevertheless this did not make them the new owners of the land. As for the issue of returning to a land now occupied, in the case of the Jews who were expelled by others only to reclaim sovereignty in 1948, during the interim of exile, the people who occupied the land never established a state there, a rival claim to ownership, which may not have stood had it been made anyway. Second Issue – Who expelled the Jews from the Land and who expelled them? The common response is “the Romans in 70 C.E.” However, this response is defective. Although many Jews were expelled at that time, the Jews still in the land again rebelled against Roman rule (as in 70 C.E.) in 135 C.E., in what is known as the Bar Kochba rebellion. Nor was that the last time! There was another Jewish rebellion against Rome in 351-352 C.E. This was in particular directed against the rule of Constantius Gallus, brother-in-law of Emperor Constantius II and Caesar of the East. In 614, the Jews of Palestine and of the Diaspora allied with Persia against the Byzantines who had previously occupied the Land. The Jews supplied 20,000 soldiers, Jewish wealth from the Land helped to fund the project, and in exchange for their cooperation, a Jewish governor was appointed over the now liberated Jerusalem. Indeed, sacrifice was resumed on the Temple Mount in this period! So the Jews were not gone yet! Returning then to a comparison between Spain and the Jewish people of Palestine, it took Spain eight centuries to regain sovereignty from the Arab invaders, and the Jews twelve centuries. The Spanish means was fire and blood, while The Jews sought to return peaceably, reclaiming the land, purchasing their own land from absentee Arab landlords in Cairo and Damascus. The land which the the Spaniards regained had been developed by the Arabs who had occupied it: the land which the Jews regained had lain fallow. What Spain and Israel had in common was the continued existence of a people whose country had been conquered who had never given up their rights to their land, with both the Spaniards and the Jews having persistent aspirations that their people would eventually be restored to their natural homeland. Many today complain that the State of Israel was a new invention involving the usurping of Arab rights and land in order for the West to assuage their consciences after the suffering of the Jews during the Holocaust. The facts speak otherwise, The rhythm of exile and return had been long established for many centuries prior to the Holocaust, which served as a final impetus but certainly not and never the sole impetus for Jewish return. On the contrary. We believed that the British would be faithful to their word. In those days England enjoyed a great reputation among the Jews. But it was precisely because we believed that the project could be carried out that we were all the more opposed to it. For so many centuries the Jewish people had made so many sacrifices for this land, had shed their blood for it, had prayed for a thousand years to return to it, had tied their most intimate hopes to its revival–we considered it inconceivable that we would now betray the generations of Jews who had fought and died for this end. It would have rendered the whole of Jewish history meaningless. We had to oppose it. Yes, it makes me proud to be a Jew. As mentioned earlier, I believe that frequently the victimization narrative being promulgated in the name of the Palestinians is a clever, even cunning, propaganda approach designed to undermine Western support of the State of Israel. In his fine book, A Durable Peace: Israel and Its Place Among the Nations, Benjamin Netanyahu offers and substantiates this analysis. This propagandistic ploy has largely been working, except among those who either bury their heads in biblical sand and are therefore impervious to all contemporary situations and arguments, or those informed souls with the access and the will to discover that the narrative being constructed is in many, although sadly, not all cases, a distorted fantasy. These propagandistic narratives are a kind of rhetorical slight of hand whereby the “magician” (that is, the proponent of the constructed narrative) directs your attention where he/she wants it, while hiding from your view what’s really going on. As one minor example, the Security Wall controlling access of Palestians to Israeli locations is presented as an Israeli instrument of victimizing the Palestinians. What is not stated is that the wall was erected in response to weekly, and sometimes daily terrorist bombings in the Jewish state, and that since these security measures were taken, those bombings are virtually extinct. Yet many people don’t think of that when they evaluate Israel’s policies. It is so easy to manipulate people by hiding context from their view. And this is just one of the devices in the Palestinian propaganda bag of tricks. Rivers of ink could be spilled to deal with this phenomenon, but I will have to limit myself to a few observations. I direct you to to a case in point, a quotation from a 2003 document from the World Alliance of Reformed Churches, titled “Christian Zionism Distorts Faith and Imperils Peace,” which touches notes found throughout treatments which stigmatize Christian Zionists and Christian Zionism. Read these excerpts slowly, paying special attention to how the author, Wes Granberg-Michaelson, portrays Christian Zionists and what he implies about them. This is like detecting a magician’s trick by doggedly watching his/her hands. Look! We are here – in Beirut, Cairo, Damascus – to listen and to learn. In our listening thus far, already we have heard of a new peril that travels from some Christians in the west to this land – what might be called “evangelical Zionism.” This is the belief, held by a group of Christians especially in North America, that the modern state of Israel, including its territorial ambitions, has a direct biblical mandate providing a justification for its political and military actions. This is an horrific straw man argument. Christian Zionism predates the founding of the modern State of Israel by over 100 years, and its convictions are separate from opinions about military action. A few personalities in North America – such as Jerry Falwell, Pat Robertson and Franklin Graham, have made statements about such beliefs, and also about the nature of Islam, that have attracted wide attention. You need to hear what we, and millions of other Christians in the United States, think about these perspectives. First, understand, please, that proponents of “evangelical Zionism” are the extremists. And like extremists everywhere, they attract media attention. I would guess – and this is only a guess – that four out of five Americans would regard the statements of such personalities as ill-informed, ill-advised, and irresponsible. Within American political and religious life, such figures and views are regarded as voices on the fringe, on the “far right”. But from what we have heard thus far in our time with you and with the churches in these lands, it would seem that many believe such voices speak for all US Christians. Nothing could be further from the truth. This is a classic ad hominem argument. It is one of the standard ploys of the Anti-Christian Zionist crowd, linking Christian Zionism to stigmatized and unattractive figures, such as Jerry Falwell, Pat Robertson, John Hagee, Jerry Jenkins of the Left Behind series, and Hal Lindsey, so that Christians, especially of the mainline churches, will avoid the theological position because they do not also want to be labeled strange, fringe, ill-advised, irresponsible, Islamophobic and extremist. This is a deplorable form of argument. Notice what is entirely lacking here is any engagement with the biblical texts upon which people base their views. Evangelical churches in the United States are often vibrant and growing. But they include a wide diversity. Only a portion are influenced by those with a right-wing political agenda, such as Jerry Falwell and Pat Robertson. The majority, while generally conservative in their views, are more moderate, and reject political extremism. And a smaller but growing number of evangelicals have a more progressive outlook, believing that the Bible calls us clearly to address the needs of the poor, the marginalized, and to seek peace and reconciliation – all essential to being faithful disciples of Jesus. (Found online August 31, 2012 here). Don’t miss how strongly he insinuates that Christian Zionists neglect addressing the needs of the poor, the marginalized, substituting preoccupation with an eschatological calendar and land conquest for seeking peace and reconciliation. What nasty, biased rhetoric! And utterly untrue as a generalization about Christian Zionists! Many British political figures also rang in on these matters, a century or more before the Jewish state came to be. Lord Shaftesbury, who also fought against slavery and for the reform of child labor laws, wrote in 1838 that he was “anxious about the hopes and destinies of the Jewish people. Everything [is] ripe for their return to Palestine. . . . the inherent vitality of the Hebrew race reasserts itself with amazing persistence . . . but the great revival can take place only in the Holy Land.” Another Christian Zionist. But indifferent to the plight of the poor and suffering? Hardly! A disciple of Pat Robertson and Jerry Falwell? Impossible! The reality of Christian Zionism does a better job matching the biblical text than it does the propaganda of its opponents. Lord Shaftesbury was the premier social reformer of his generation. A superb new book about him and others of the pre-Herzl Christian Zionists may be found here. Lord Lindsay wrote in 1847, hoping that the Jews “may once again take possession of their native land.” And many other political figures, on both sides of the Atlantic, expressed similar sentiments on the basis of the biblical identity and rights of the Jewish people. Notice, this was written sixty years prior to the first Zionist Congress, and one hundred years prior to the founding of the State. This is not trendy theological kitchiness: this is conviction based on some familiarity with history and tbe biblical text. Again, there were many more figures whom space forbids our examining in detail, and Netanyahu names some of them. Included among them were William McKinley, Theodore Roosevelt, and William Howard Taft–none of them flighty, fringe, ill-advised, irresponsible, Islamophobic extremists. Not only political figures, but religious figures as well agitated for a Jewish return to Zion prior to the founding of the Modern Jewish State. Netanyahu names a few of them, minor and major. Admit there still exists in the breast of every Jew an unconquerable desire to inhabit the land which was given to their Fathers; a desire, which even a conversion to Christianity does not eradicate. . . . Were the Ottoman occupation of Palestine to vanish, nothing but a miracle would prevent their [the Jews] immediate return. How did he know this? From his reading of Scripture. It would be nearly 100 years before the Ottoman Empire fell, and the 1917 discussions of its disposition led directly to the Balfour Declaration which was to smooth the way for the inevitability Parsons foresaw a century before. And there are many others, not wild eye fanatics, nor military saber rattlers, nor indifferent to the plight of suffering people, who likewise longed for the day of Israel’s return. In the prophecy of Ezekiel we have, in the vision of he valley of dry bones and its interpretation, a very full account of the final restoration of Israel. According to the representations of that vision, the restoration is to take place in successive and perfectly distinct stages. Thus, while the prophet saw that before the giving of life to the dry bones which symbolized the house of Israel, before even the clothing of them with flesh and sinews and skin there was first of all, ‘a noise and a shaking, and bone came to bone, each bone to his fellow.’ That is, he saw, in the first place, a preliminary organization, the necessary antecedent to all that followed. If this feature of the vision means anything, it would seem that it can mean nothing else than this: that a tendency to external organization in the scattered nation, was to be looked for, antecedent and preparatory to their actual reinstatement in their land, and their conversion to God by the power of the Spirit of life. Something of this kind, therefore, according to the prophet, was to be expected as one of the initial stages of the restoration process. [Kellogg, Samuel Henry. The Jews, or Prediction and Fulfillment: an Argument for the Times. Anson D.F. Randolph and Company, 1883]. The facts are, that the founding of the Modern State followed precisely the pattern Kellogg discerned in the prophecies of Ezekiel! And this man was another Christian Zionist whose life of service to the poor in India (on three separate tours of duty, on third of which he died at the age of sixty), underscores the falsity of the stigmatizing labels laid nowadays on Christian Zionists. He was the author of a well known Grammar of the Hindi Language (2nd ed., 1893), of a still well-regarded commentary on Leviticus, and other works as well. No lightweight! Perhaps the most famous of the American restorationists, who foresaw and sought to expedite the return of the Jews to the Land, was William Eugene Blackstone, a fully remarkable man (October 6, 1841 – November 7, 1935) an American evangelist and Christian Zionist and author of the proto-Zionist Blackstone Memorial of 1891. But before then , he wrote (in 1878) the Premillennial popular text Jesus is Coming. This book sold multi-millions of copies worldwide and was translated into 48 languages. He initially focused on the Restoration of the Jews to the Holy Land as a prelude to their conversion to Christianity, out of a pious wish to hasten the coming of the Messiah; but he increasingly became concerned with the deadly, Russian, government-instigated pogroms and believed that it was necessary to create a Jewish homeland in Palestine. He was, furthermore, persuaded that neither the European nations nor the United States would accept as many Jews as needed to escape from Europe. This was another prophetic man who, like Herzl, saw far in advance where matters were heading for the Jews of Europe. I direct you to that Wikipedia article that you might read about this remarkable man, whom we might well call “The Christian Herzl.” See the article here. I direct you also to Netanyahu’s book, A Durable Peace: Israel and Its Place Among the Nations, which, on this subject as others has much to teach us that blows away the smoke blown into our eyes by modern propagandistic rhetoric and theological politics. I have already shared with all of you how I feel obliged at this time in my life and in the flow of current events to do some intensive study on the situation in the Middle East, especially related to the bad press Israel has been getting for quite some time. 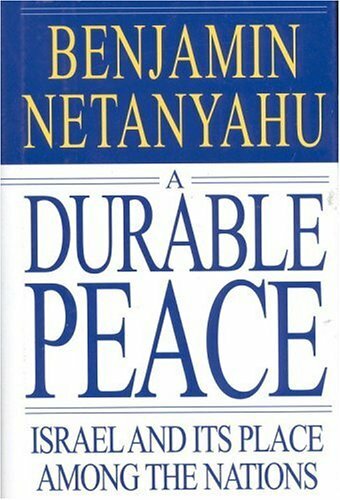 Currently I am reading Benjamin Netanyahu’s A Durable Peace: Israel and Its Place Among the Nations and finding it a very good read. In the next few blog posts you’ll be reading some of his best ideas. In preparation, let’s get some things straight. I don’t believe Israel is perfect, and neither do any Israelis I know! But let’s keep our perspective here. Which of us would prefer to be a Jew in Syria, Saudi Arabia, or Jordan over being an Arab in Israel? Very few I would guess, if any at all! Yet Israel is routinely positioned as the oppressive force in the area. This positioning is no accident. It is the consequence of a long and cunning propaganda campaign. I’ll show why that’s so in one or more of these posts. In addition, I don’t believe that anything entitles the Jewish State to deal oppressively and inhumanely with any people in their midst, certainly including the Palestinians. But it is a demonstrable fact that the judiciary in Israel holds their citizens and soldiery accountable for misbehavior toward Arabs to a degree impossible to find in analogous circumstances in the Arab world. Name an Arab state in the region whose army or citizenry will face judicial wrath for the abuse of Jewish citizens. You won’t find any. I trace Israel’s transformation from the status of underdog to that of oppressor to successful propaganda techniques by Palestinian partisans seeking to discredit and eventually destroy the Jewish State. Too many in the West and in the Church have drunk this particular Kool Aid. Netanyahu agrees, and as we sketch the argument of his book and others to be considered here, you will discover why. Today, we begin with his Chapter One, “The Rise of Zionism.” It is here that we are introduced to Theodor Herzl (1860-1904), an assimilated Hungarian Jewish journalist, born in Budapest, raised in Vienna, who worked in Paris, and was without doubt God’s instrument of destiny. Six aspects of Herzl’s character stood out for me as Netanyahu portrayed him. First, Herzl was prophetic. He saw the handwriting on the wall before most were alert enough to do so. His prophetic vision at the turn of the century had three components. 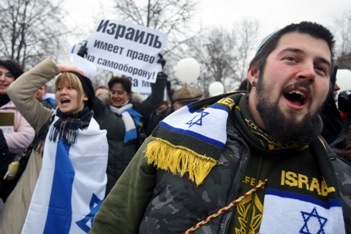 The Jews in Europe were in danger due to the rise of anti-Semitism. Although some doubt its impact on him, commonly his awareness of this danger is attributed to his observing how the French responded to the trial of Alfred Dreyfus who was was arrested for treason on 15 October 1894. On 5 January 1895, Dreyfus was summarily convicted in a secret court martial, publicly stripped of his army rank, and sentenced to life imprisonment on Devil’s Island in French Guiana. But he had been frame. Still Herzl saw the import of the the avid anti-Semitic rhetoric stirred up by the Dreyfus affair. Europe, even sophisticated France, was not a safe place for Jews. He also had prophetic insight that this kind of turmoil would drive many Jews and Jewish intellectuals to Communism, and that this development would eventually be catastrophic for Europe and for the Jews. Hence, he saw the urgency of forming a Jewish State where Jews could gather safely, develop their communal identity, and defend themselves from harm. Second, not only was Herzl prophetic, he was practical. He not only saw the handwriting on the wall; he also saw what needed to be done. And beyond that, he saw the steps that needed to be taken to accomplish the ends he advocated. This is a remarkable confluence of skills in one man, but Herzl, the secularized Jew, was God’s man of destiny. Those who want to discredit Zionism as purely a political movement with nothing of God about it evidence a defective knowledge of Scripture. God routinely accomplishes his ends through events easily dismissed as “secular.” Perhaps this is one reason the Book of Esther includes no mention of God, even though His fingerprints are found throughout. Also, who can deny the Edicts of Restoration promulgated by Cyrus the Great whereby the Jews returned from the Babylonian Captivity were an act of God, despite their entirely secular pedigree? Clearly the Bible recognizes no division between sacred and secular when matters of Divine Providence are in view. Truly, “the Most High rules the kingdom of men and gives it to whom he will” (Daniel 4:25) and by whatever means He chooses. Third, Herzl’s success was in part due to how the Enlightenment had prepared the philosophical climate of the times to value the natural rights and liberties of individuals and nations. This made it far easier to advocate for the propriety of the Jews having their own Land. Fourth, Herzl gathered influential partners. He knew that in order to have impact, he needed highly influential, high profile associates. The first whom he sought out was Max Nordau, an influential Jewish author-journalist, like Herzl, Hungarian, assimilated, and living in Paris as a journalist with the Vienna Neue Freie Press. Although others, thinking Herzl’s burgeoning views to be extreme, imagined Nordau would dismiss them, they were wrong. He fully concurred with Herzl’s vision, and joined forces with him, eventually becoming co-founder of the World Zionist Organization together with Herzl, and president or vice president of several Zionist congresses. Herzl also won the support of popular British Jewish author, Israel Zangwill, whose added clout gave needed credibility to Herzl’s program for change. Fifth, Herzl had precursors, and all of us would do well to become acquainted with these simlarly prophetic, but largely unheralded figures. Simply check Wikipedia as a place to start and learn of Rabbi Yehuda Alkalai of Serbia, who advocated for a Return to Zion in the 1840’s, Rabbi Tzvi Hirsch Kalischer of Prussia, who flourished in the 1860’s, Moses Hess, who was also the teacher of Karl Marx, Moshe Leib Lilienblum opf Kovno, who was aroused by the anti-Jewish riots of 1880 and 1881 to become conscious of the unsafe position of the Jews “in exile.” He wrote of his apprehensions in an article in 1881, pointing to the reestablishment of the Jews in Palestine as the only solution of the Jewish question. In 1883 a committee was organized at Odessa for the colonization of Palestine, Lilienblum serving as ṣecretary and Dr. Leon Pinsker. With the Hibbat Zion conference in Katowice, in which Lilienblum took an earnest and energetic part as secretary, representatives of European Jewry met and discussed the first plans for colonization in Palestine, laying a foundation stone was laid for the Zionist movement. And by the way, Katowice was later to become the birthplace of Pope John Paul II. We already mentioned Leon Pinsker, born in Tomaszów Lubelski, Kingdom of Poland, Russian Empire – 1891, died 1891 in Odessa. Pinsker was a physician, visionary and and the founder and leader of the Hovevei Zion, also known as Hibbat Zion (Hebrew: חיבת ציון‎, Lovers of Zion) movement. In his early years, Pinsker favored the assimilation path and was one of the founders of a Russian language Jewish weekly, but the Odessa pogrom of 1871, and a more extensive wave of anti-Jewish hostilities, some allegedly state-sponsored, from 1891 to 1894 radicalized him so that he no longer believed that mere humanism and enlightenment would defeat antisemitism. In 1884, he organized an international conference of Hibbat Zion in Katowice (Upper Silesia, then part of the Kingdom of Prussia). He wrote a pamphlet, Auto-Emancipation urging the Jewish people to strive for independence and national consciousness. He spoke of Judeophobia, convinced that this pathological, irrational phobia was behind the tragic Jewish diaspora experience. As an antidote, he called for the establishment of a Jewish National Homeland, either in Palestine or elsewhere, and came to agree with Lilienblum that Jew-hatred was rooted in the status of Jews as foreigners everywhere except their original homeland, the Land of Israel. He became one of the founders and a chairman of the Hovevei Zion movement, with the backing of Baron Edmond James de Rothschild. His Auto-Emancipation anticipated some of the parallel thoughts Herzl. All these and more were great men ahead of their time who deserve to be remembered. I urge you all to take a few minutes to research each, and thereby to become not only informed, but also ennobled. March 10, 1896, Herzl is visited by Reverend William Hechler, the Anglican minister for the British Embassy. Hechler had read Herzl’s Der Judenstaat [The Jewish State]. The meeting would be central to the eventual legitimization of Herzl and Zionism. 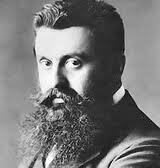 Herzl later wrote in his diary “Next we came to the heart of the business. I said to him: (Theodor Herzl to Rev. William Hechler) I must put myself into direct and publicly known relations with a responsible or non responsible ruler – that is, with a minister of state or a prince. Then the Jews will believe in me and follow me. The most suitable personage would be the German Kaiser.” Hechler arranged an extended audience with Frederick I, Grand Duke of Baden, April, 1896. The Grand Duke was the uncle of Kaiser Wilhelm II of Germany. Through the efforts of Hechler and the Grand Duke, Herzl publicly met the Kaiser in 1898. The meeting significantly advanced Herzl’s and Zionism legitimacy in Jewish and world opinion. What ambition! What vision! What political savvy! Netanyahu says that Herzl met with the Kaiser no less than three times by October, 1898, a year after the First Zionist Congress. Quite an accomplishment for a Jewish journalist with a passion to rearrange the world! And Herzl accomplished all of his great work in eight short years, from the age of 36 to 44, when he died a premature death. Honor such men! Does Scripture Provide Precedent and Guidelines For Israel and Other Peoples in the Region to Live in Peace? This is another foundational study for understanding what the Bible teaches concerning the Jewish people and the Land of Israel. I did these studies about ten years ago to answer some questions for my own benefit. Both those who agree and who disagree with the premise that today’s Jewish people have a divine mandate to dwell in the Land of their ancestors need to come to terms with this data. This study presents certain principles of biblical geo-political philosophy, and was first posted on this blog May 23, 2011. It being reposted now because of its relevance to our current series. Enjoy! Foundational texts: These are texts which later texts rely upon or to which they refer regarding the question under consideration. In this instance we should remain conscious of the fact that there were certain lands that HaShem gave to the children of Israel, and other lands around them that they were forbidden to touch. Of course, Genesis 15 and the very many texts similar to it is instructive, because there HaShem unashamedly states that the lands he is going to give to the children of Israel formerly were inhabited by others. In addition, ultimately it is HaShem who is the owner of these lands, and those who inhabit them do so as tenants [Leviticus 25:23]. This of course is foundational to our considerations, as seen in a previous lesson. Toward the end of the Torah, Moses puts it this way: “When the Most High gave the nations their inheritance, when he divided all mankind, he set up boundaries for the peoples according to the number of the sons of Israel” [Deut 32:8]. See also Acts 17:26. 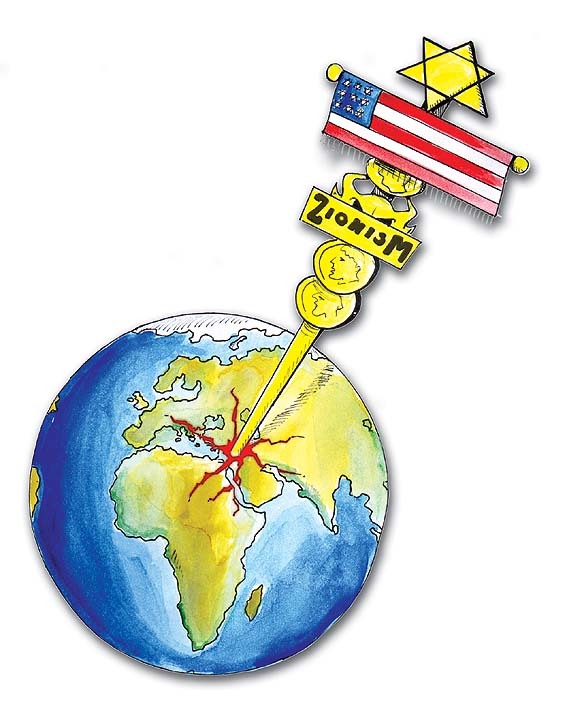 It seems unavoidable for us then that our Messianic Jewish biblically-based geo-political philosophy is Israel-centric. Another text, Deuteronomy chapter two is especially helpful in giving us a well-rounded sense of how our faith in God and perspective on Scripture interfaces with geo-political realities in and around the land of Israel. There we see that HaShem strongly warns the children of Israel against taking any of the land of the sons of Esau, saying, “Do not provoke them to war, for I will not give you any of their land, not even enough to put your foot on. I have given Esau the hill country of Seir as his own. You are to pay them in silver for the food you eat and the water you drink” [Deut 2:5-6]. And HaShem gives similar directions to the children of Israel concerning the Moabites, “I have given Ar to the descendants of Lot as a possession” [Deut 2:9]. He says the same about the territory of the Ammonites, “do not harass them or provoke them to war, for I will not give you possession of any of the land belonging to the Ammonites. I have given it as a possession to the sons of Lot” [Deut 2:19]. 1) There is land that God has given to the sons of Israel. 2) There is also land that God has given to others which Israel is not to touch. That too was considered a land of the Rephaites, who used to live there; but the Ammonites called them Zamxummite. They were a people strong and numerous, and as tall as the Anakite. The Lord destroyed them from before the Ammonites, who drove them out and settled in their place. The Lord had done the same for the descendants of Esau, who lived in Seir, when he destroyed the Horites from before them. They drove them out and have lived in their place to this day. We can see here that HaShem not only provides for a land inheritance for Israel, but also for the other nations around her. Nevertheless, as Moses says in Deut 32:8 “When the Most High gave the nations their inheritance, when he divided all mankind, he set up boundaries for the peoples according to the number of the sons of Israel.” Israel is central in the thoughts of HaShem. [See also Amos 9:7]. Chair text – A text that “says it all, or at least most of it, and says it well.” Are there texts that model for us co-existence in the land for Israel and other peoples living there—texts from which we might extract principles? I think there are, and I have chosen one set of texts that I believe serves us well—Joshua chapters 9-10.
a. Under the leadership of Joshua, the children of Israel crossed the Jordan river on dry land—a miracle similar to that which Moses performed at the Red Sea. When word of this miracle spread, the Amorite kings west of the Jordan and all the Canaanite kings along the coast were quite terrified. b. Joshua’s men had already reconnoitered the land with the help of Rahab the Harlot. And after some significant events [all the males of the new generation being circumcised at Gilgal, and Joshua meeting with the supernatural Commander of HaShem’s army, they go in to take the land. c. Jericho falls to them, and after initial failure due to sin in the camp, the City of Ai falls as well. And after this victory, the children of Israel renewed their covenant with HaShem at Mt. Ebal. d. At this point the Hittite, Amorite, Canaanite, Perizzite, Hivite and Jebusite kings of the land band together to war against Joshua and Israel [Josh 9:1-2]. However, the people of Gibeon decide to take another approach. 2) In Joshua 9, the Gibeonites decide to fool the Israelites into thinking that they are a people from far away, rather than one of the people groups that Israel is supposed to conquer. They say that they have heard of how the God of Israel has given the Israelites victory against the Egyptians, and against kings on the other side of the Jordan. They fool Joshua and the elders of Israel into entering into a covenant of peace with them [Joshua 9:3-15]. 3) Even when the Israelites later find out that the Gibeonites had deceived them, they know they cannot vanquish them because “We have given our oath by the Lord, the God of Israel, and we cannot touch them now” [Josh 9:19]. 4) In Joshua Chapter 10, King Adoni-Tzedek of Jerusalem and some of the other Kings of the land who are afraid of Joshua and the Israelites, and who knew what they did to Jericho and Ai, decide to attach Gibeon, because Gibeon has gone and entered into a treaty with Israel. 6) As we see from the following text, not only does Israel treat them as allies and come to their aid, HaShem himself comes to their aid, performing a mighty miracle to rescue them and defeat their enemies, the enemies of Israel! [Joshua 10:7-15]. 7) In the remainder of the chapter, we read how Joshua and the children of Israel utterly vanquished and indeed wiped out the kings and nations that had come against them in league with Adoni-Tzedek [Josh 10:16-43]. It is not a pretty picture—but it did not have to happen, if these other kings and nations had been as determined to make peace with the Israelites as had the people of Gibeon. 8) So what are the principles we find here which are transferable to the current crisis in the Middle East? a. God has a land inheritance which he intends for the children of Israel—no one else is supposed to have it nor touch it. b. God has a land inheritance for other peoples gathered around Israel—Israel is not supposed to have it nor touch it. c. There can only be peace in the Middle East when and if respective land rights are respected and honored, including those of Israel. d. Although one might hope this can happen through political means, from reading Scripture, I believe this will only finally happen when all parties are forced by the flow of holy history to acknowledge that these land rights are God-given. e. Other people groups living in and around the land of Israel will live in peace, and Israel will live in peace to the extent that such groups enter into treaties of peace with Israel. f. When and as they do, Israel becomes their friend, and Israel will defend them against their enemies, as they should defend Israel against her enemies. g. Those who will not make peace and prefer to wage war will inevitably suffer defeat, because God’s purpose for Israel will ultimately stand—as will his purposes for other nations. Among these purposes will be Israel dwelling secure within her borders, free of terrorism, and should any attack Israel it will not come from HaShem and will not succeed: “In righteousness you will be established. Tyranny will be far from you; you will have nothing to fear. Terror will be far removed; it will not come near you. If anyone does attack you it will not be my doing; whoever attacks you will surrender to you” [Isaiah 54:14-15]. See also Jeremiah 30:10; Ezek 34:25, 28; 38:11; 39:25-29; Obadiah 15-21.
i. In the end there seem to be only two choices—peace or conquest. 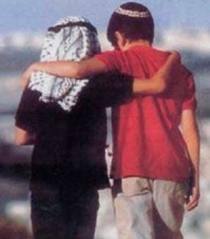 And again—peace in the Middle East can only come when there is a recognition of Israel’s Divine right to the Land. I believe this will eventually come when God exercises his initiative to prove that this is so in the face of the nations of the world seeking to deny it, as per the events spoken of in Zechariah 12-14. Does Scripture Teach That the Jewish People Will Be Returned to the Land of Israel Prior to National Spiritual Renewal? This study fulfills my promise to address at greater length how Scripture prophesies the return of the Jews to the Land apart from Yeshua faith, with this being a final return, not to be confused with return from the Babylonian Captivity, which was not final. This is another in a series of rather “crunchy,” that is, densely argued studies. Some may wish to dispute the position I hold. I encourage such persons to first make sure they understand the arguments being made. And for those of you who are already convinced of my affirmative premise, this study provides evidence for the conclusions we share. To all, this study is long on content, and short on color commentary. Hang in there! It’s important stuff for people who favor deep convictions, who want to be able to credibly defend them! A. Foundational texts: These are texts which later texts rely upon or to which they refer regarding the question under consideration. In this instance there are two texts in Torah which introduce the theme of Exile and Return which was to become until today a major theme of Jewish thought. Those texts are Lev. 26:27-45 and Deut 30:1-6.
a. Lev 17:7 – The sacrifices offered by the Canaanite nations and by idolatrous Israel were sacrifices to demons—we ought not to think that these nations were just nice non-Jews who needed to be bumped out of the land—with regrets—so the Jews could have a place to live. On the contrary, their lifestyle was an abomination in the sight of God [see 20:22-27], and their eviction was an expression of his revulsion and that of the Holy Land concerning their way of life. b. Lev 18: 24-30 – A very strong statement in Torah, following a litany of sexual taboos. In this passage God warns the people of Israel not to defile themselves in any of these ways as the nations did which He is driving out before them. He then says, “For the land is defiled, therefore I visit the punishment of its iniquity upon it, and the land vomits out its inhabitants” . As we shall see later as well, God speaks of the land in personal terms—that the land itself will vomit them out if they defile it with these abominations, whether it be the Israelites themselves or the strangers dwelling among them. Over and again, God is treating the Land as His chosen land and therefore, the Holy Land. c. Lev 19:29 – Again, here when one’s daughter becomes a cult prostitute, the land itself becomes defiled. d. Lev 20:2 – Anyone who gives his descendants to Molech shall surely be put to death, “The people of the land shall stone him with stones.” Interesting that the populace is here called “the people of the land,” underscoring their connection to the land and their responsibility to prevent its defilement. e. Lev 20:22-27 – After listing a number of sexual sins and taboos, Torah goes on to state “You shall therefore keep my statutes and my judgments, and perform them, that the land where I am bringing you to dwell may not vomit you out. And you shall not walk in the statutes of the nation which I am casting out before you; for they commit all these things, and therefore I abhor them. But I have said to you, you shall inherit the land, and I will give it to you to possess, a land flowing with milk and honey. I am the L-ORD your God who separated you from among the peoples. . . .” It is most interesting that residency in the Land is contingent upon not defiling that land with sin and those who do so can expect that the Land itself will vomit them out. The land is thought of here like a living thing, personal, and holy, unable to “stomach” gross sin. f. Lev 25 – Here, the various provisions of shmittah [letting the land lie fallow every seven years], and jovel [the return of land to its ancestral owners every fifty years] are enumerated. Clearly, the people of Israel have clear Divine responsibilities concerning the land. It is only when and as they obediently honor these responsibilities, that they may/will “dwell in the land in safety” [25:18,19]. The chapter speaks as well of provisions for return of the land to ancestral owners in the event that someone becomes poor and sells his land, including provisions both for the return of the land and proper treatment of those Israelites who sell themselves as slaves due to debt. 2) Lev. 26:1-45, especially vv. 27-45. In this chapter, it is remarkable to see how much the relationship with the Land is both a metaphor and an indicator of Israel’s relationship with God and His with them. In this one chapter, the term “land” appears twenty times. a. Israel’s failure to respect the Land and to keep the commandments relative to the Land is an indicator of Israel’s contempt for the Lord and for His commandments. b. Similarly, God causes Israel’s presence in the Land or Exile from the Land as an indicator of/metaphor for Israel’s nearness or distance from Himself. d. Therefore, if the eschatological vision includes a utopian vision for Israel’s relationship with God, this vision of necessity involves an eventual final return to the Land accompanied by the markers of covenant blessing: fruitfulness, multiplication, safety from enemies, fellowship with God, spiritual renewal, etc. There can be no redemptive, positive consummation of Israel’s saga with God apart from a return to the Land and an experience there of covenant blessing. e. Therefore, it is a Divine necessity that Israel be brought back to the Land—whether in faith or in a diverse and fallen spiritual condition remains to be seen. 3) Deut 30:1-6 – This passage is parallel to Leviticus 26, in that it too discusses the consequences of covenant faithfulness on the one hand, and covenant violation on the other. Like the foregoing it establishes the ongoing theme in Jewish thought of Exile and Return as connected with sin, judgment, exile and repentance. If we consider that the passage is sequential, describing stages, it seems to indicate that Israel will first return to the Lord while in exile, repenting of its disobedience and returning to obedience to Torah, resulting in the Lord’s returning them from captivity and their renewal in the Land. Although this passage does portray Israel returning to the land prior to her spiritual renewal, there is a turning of repentance and obedience preceding this—that is, if we take these verses as sequential. 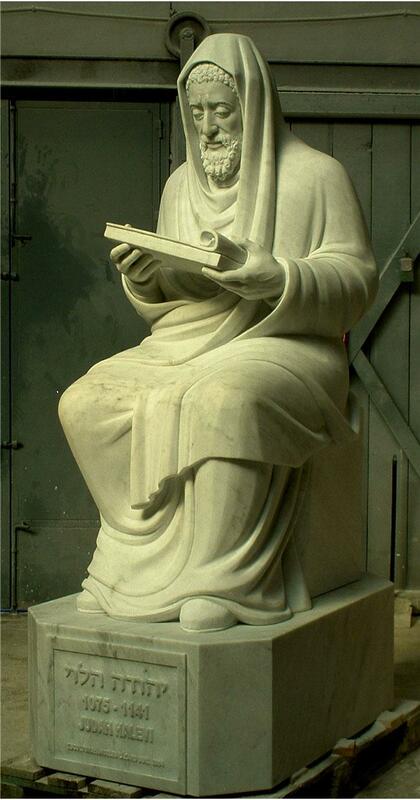 On the other hand, one might justly take the verses as simply descriptive without necessarily involving sequence. B. Chair text – A text that “says it all, or at least most of it, and says it well.” Ezek 36:22 ff. 1) In keeping with the question under consideration today, we are looking for a passage which seems to indicate that the children of Israel will be regathered to the Land prior to their spiritual renewal in the latter days. b. Basically, we are looking for a passage which speaks of Israel being gathered to the Land prior to this kind of spiritual renewal. 2) The best extensive passage I know of in this regard is Ezekiel 36:22 ff., although the entire chapter and the chapter following [the Valley of Dry Bones passage] are helpful. Still, 36:22 ff is especially interesting. a. The passage seems to outline a succession of stages. This is a sort of “left brained” passage which speaks of the details while chapter 37 is the sort of “right-brained” pictorial and holistic vision that helps us visualize the stages. i) That the spiritual status of Israel is immaterial to what God is about to do—it is not due to their returning to him in repentance that he is acting, but rather for the sake of His name. ii) Their spiritual state is specified as being deplorable and a discredit to His Name—“my holy Name which you have been profaning among the nations where you went.” Their being in exile is an indication of their distance from God and makes HaShem, the God of Israel, to be a laughingstock. Of course, their existence among the nations is a consequence of their being exiled, which in turn is due to sin. As we have seen, and as the Bible repeatedly affirms and assumes, Israel’s relationship to the Land mirrors her relationship to God: estrangement from God and exile from the land go hand in hand; presence in the Land and nearness to the Lord go hand in hand. c. What are the various stages of the Jewish people’s return to the Land as demonstrated in this passage? It is very possible that we take things too far when we look for strict sequencing in such passages. Yet, if we were to treat this passage as sequential, what would we find? ii) Then he will sprinkle clean water on them and they will be clean—he will cleanse them from all their uncleanness and all of their idols. This would appear to be a necessary condition to their dwelling in the Land—if they were unclean and idolatrous, they would have to be expelled. This term does not mean that they are fully renewed—not just yet. iii) He will give them a new heart and a new spirit, taking out the stony heart out of their flesh and giving them a heart of flesh. This could either be a stage following the previous one or. This could be another way of describing what happens in stage two. iv) He will put His Spirit inside of them and cause them to live by his laws, respect his rulings and obey them. This appears to be a rewording of the previous stage. This phraseology is very reminiscent of the New Covenant language of Jeremiah 31.
vi) They will be his people and he will be their God. vii) He will save them from all their uncleanness. Again, this appears to be a restating of step two. x) He will multiply the yield of fruit from the trees and increase production in the fields. xi) So that they never again experience the reproach of famine among the nations. (This answers the question of whether the return from the Babylonian Captivity is intended here. That was not a final restoration). xii) Then “you will remember your evil ways and your actions which were not good; as you look at yourselves you will loathe uourselves for your guilt and disgusting practices”—here the repentance seems to be as a result of the gracious acts of God on their behalf rather than prior to them as in Deut 30.
xiii) He will cause their cities to be inhabited and the ruins to be rebuilt. xiv) In addition, “I will let the house of Isra’el pray to me to do this for them: to increase their numbers like sheep—like flocks of sheep for the sacrifices, like the flocks of sheep in Yerushalayim at its designated times” . xv) Then they will know that I am the LORD. C. Interesting corroboration from Ezekiel 37. As mentioned before, Ezekiel 37 gives a sort of holistic “right-brained” pictorial vision of what is detailed in chapter 36. Chapter 37 is the famous Valley of Dry Bones passage. b. Sinews and flesh and skin come upon them , but still without breath in them. c. Breath comes upon them and they stand up on their feet, an exceedingly great army. 3) The chapter goes on in vv 15-23 and following to amplify these ideas a bit, saying that this act of God will result in the never to be dissolved rejoining of the kingdoms of Judah and of Israel, and they shall have one king at that time, There shall be an end of idolatry and of the detestable things and transgressions formerly associated with idolatry. b. They will walk obedient to God. c. They and their descendants will permanently dwell in the Land. e. God will make an everlasting covenant of peace with them. g. He will place his sanctuary in their midst forever. i. The nations will know that the LORD has set apart Israel from Himself when his sanctuary is in their midst forever. In the prophecy of Ezekiel we have, in the vision of he valley of dry bones and its interpretation, a very full account of the final restoration of Israel. According to the representations of that vision, the restoration is to take place in sucessive and perfectly distinct stages. Thus, while ethe prophet saw that before the giving of life to the dry bones which symbolized the house of Israel, before even the clothing of them with flesh and sinews and skin there was sfirst of all, ‘a noise and a shaking, and bone came to bone, each bone to his fellow.’ That is, he saw, in the first palce, a prelininary organizastion, the necessary antecedent to all that followed. If this feature of the vision mean anything, it would seem that it can mean nothing else than this: that a tendency to external organization in the scattered nation, was to be looked for, antecedent and preparatory to their actual reinstatement in their land, and their conversion to God by the power of the Spirit of life. Something of this kind, therefore, according to the prophet, was to be expected as one of the initial stages of the restoration process. [Kellogg, Samuel Henry. 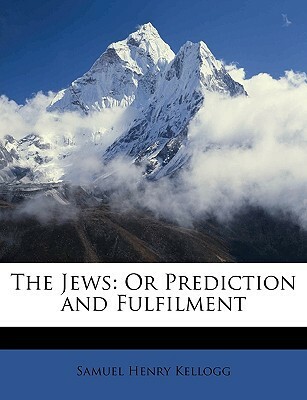 The Jews, or Prediction and Fulfillment: an Argument for the Times. Anson D.F. Randolph and Company, 1883]. The facts are, that the founding of the Modern State followed precisely the pattern Kellogg discerned in the prophecies of Ezekiel! E. Brief position statement by way of answering the question with which we began. Does Scripture Guarantee the Land of Israel to the Jewish People as a Perpetual Inheritance? This study further presents Scripture’s arguments for Israel’s land rights in the area, which was the concern covered in the previous blog posting. In the next study, the rights of others in the area will be addressed. This posting was originally presented on this blog May 21, 2011, and is reissued here to fortify the current series. This rather detailed Bible study is presented here for those who value more thickly textured arguments. A.	Foundational texts: These are texts which later texts rely upon or to which they refer regarding the question under consideration. In this instance there are at least eight Torah texts, all from Genesis/B’reishit, which state, confirm, and amplify the provisions of the Abrahamic Covenant that relate to the Land of Israel. All of them are founded upon the first of them, Gn 12:1-3. Gn 12:1-3 – The initial promise to Abraham. Note how the first thing mentioned in the giving of the promise is the Land. “Get you out of your country and leave your father’s house and go to the Land that I will show you. . .” As urban modern people, we do not feel as we should the foundational and irreplaceable role of having a land of one’s own and what that meant to ancient people groups and to most people in the world today. Look how many wars have been fought and are fought to this very day over territory. The promise of the Land is intrinsic and central to the Abrahamic Covenant. Gn 17:7-8 – Confirmation of the covenant. Specification of it as “all the land of Canaan.” Extension of the promise “to you are your descendants,” as in Gn 13. Gn 22:16-18 – “Your descendants will possess the gates of their enemies”—the Land will belong to Israel despite opposition and threat. [Indeed, centuries later the prophet Obadiah points out how Israel possessing the land and conquering her enemies round about is a form of vindication—there is a rightness to this, and a wrongness to Israel not being in possession of the Land and being besieged and conquered by surrounding enemies [see entire prophecy, especially vv. 15-17]. Gn 26:3-5 – Confirmation of the covenant to Isaac. God tells him that the fulfillment of the covenant to Isaac and to his descendants is due to Abraham’s obedience. He also states that the covenant is a Divine oath [“the oath I swore to Abraham your father” – the Covenant of the Pieces in Gn 15 and the Binding of Isaac on Mount Moriah, Gn 22]. He specifically forbids Isaac to go down to Egypt, but says “dwell in this land.” Apparently God cares where the Jews take root. Finally, he indicates that the promise extends beyond the boundaries of Canaan, “to you and your descendants I will give all these lands.” This leaves room for the expansion of the boundaries of the Land of Promise which is indeed what happens later in Scripture. Gn 28:13, 14 – Confirmation and extension of the promise to Jacob again when he is on route from Beersheva to Haran in the vision of the ladder reaching toward heaven. He is promised the land upon which he is lying, to him and his descendants. He is promised territorial expansion—“you shall spread abroad to the west and the east, to the north and the south.” He is told that the LORD will bring him back to this land, and that he will not leave him until he has accomplished all of this. Gn 35:9-15 – God appears to Jacob again [see 35:1] at Bethel, and changes his name to Israel. He confirms the promise to him and his descendants: “The land which I gave to Abraham and Isaac I give to you; and to your descendants I give this land.” Here it is clear that God is not talking about Arabs and Jews, but about Jews—descendants of Jacob. The promise which is by oath to Abraham because of his obedience is extended through his son and grandson to succeeding generations—to the Jewish people. B. Chair text – A text that “says it all, or at least most of it, and says it well.” Gn 15:1-21. Setting – Abraham has just rescued his nephew Lot and his family plus all the plunder and captives from Sodom who had been captured by a confederation of kings. Abram had declined the offer from the King of Sodom for Abram to take the plunder for himself and simply return the people, when he said “I have sworn to God Most High, the Possessor of heaven and earth, that I will not take anything that is yours,…lest you should say, ‘I have made Abram rich.’” In doing this, Abram had insulted the king of Sodom and also turned down a king’s ransom. Now he is wondering what good all this principled living is doing him, since he remains childless, with no biological heir and now he has antagonized a king to boot. God comes to him at this time of his needing comfort, reassuring him that he will have both heir and protection [“Fear not Abram, I am your shield. . .”]. God confirms and details the covenant he has made with Abram here. We restrict ourselves to the statements concerning the Land. v.7 – “I am the LORD, who brought you out of Ur of the Chaldeans, to give you this land to inherit it.” Again, notice how the promise of a Land is at the forefront of the Abrahamic Covenant. v. 13 “…Know certainly that your descendeants will be strangers in a land that is not theirs and will serve them, and they will afflict them four hundred years.” The mention of going down to a land not theirs [Egypt] reminds us that there is a land which is their—the Land of promise. v. 16 – “But in the fourth generation they shall return here, for the iniquity of the Amorites is not complete.” Canaan is the Land of Promise to which the descendants of Abram will return. This is something we see repeatedly in Scripture—that coming to the Land of Promise is always a matter of return for Jews—returning to their land from which God views them to have departed or been driven out. The Land of Promise is home base. Also, even though the land has previous dwellers [the Amorites, a general term for the people living in this region], these people are not treated as the owners of the land. Rather it is the LORD who is the “Possessor of heaven and of earth,” and these people are squatters or at best tenants who will be evicted when their iniquitous behavior has exhausted the patience and mercy of God. Similarly today, the entire state of the debate changes when and if we acnowledge God as the Possessor of the Land, and Israel as the one to whom he as given this land as a permanent stewardship. vv. 18-21 – Here God specifies partial boundaries, the West to East boundaries for the Land of Promise—from the Nile to the Euphrates and he acknowledges that the land he is giving is a land currently occupied by others: the Kenites, the Kennizites, the Kadomities, the Hittites, the Perizites, the Rephaim, the Amorites, the Canaanites, the Girgashites, and the Jebusites. There is no embarrassment or apology here that the land which God is giving to the descendants of Abram, Isaac and Jacob is land occupied by others. Remember, from God’s point of view, occupation does not equal ownership. He is the Possessor of Heaven and Earth, everything belongs to him, and he gives it to whomever he chooses with no apologies made or necessary. It is most interesting that Rashi, the foundational Medieval Jewish commentator [1040-1105], picks up on this issue right at the inception of his commentary on the Torah. He asks why it is that the Torah does not begin with the first commandment given at Sinai, which, from a Jewish point of view, is ground zero of Jewish relationship with God, but rather begins with the creation of the heavens and the earth. His conclusion is most telling, he says this: “What is the reason the Torah began [with the Book of Genesis and the story of creation]? …So that if the nations of the world will say to Israel, ‘You are bandits for you conquered the lands of the seven nations who inhabited the Land of Canaan’ Israel will say to them, ‘The whole earth belongs to the Holy One, Blessed be He. He created it and He gave it to the one found proper in his eyes. By his wish he gave it to them and by his wish he took it from them and gave it to us’. ” If Rashi is not right then the United Nations and the Palestinians might indeed have a valid point that Israel is occupying land that rightfully belongs to others who have rightful ownership of the land through a kind of ‘squatters rights’. But it is clear that Rashi’s major point is what underlies the assumptions of the Torah concerning God’s gift of the Land to Israel. In fact, it is most significant that in this very chapter, Abram refers to the LORD as “God Most High, the Possessor [Owner] of heaven and earth.” God as Owner/Possessor of all is the assumption that underlies Israel’s right to the Land. And again, no apologies are made for this in Scripture. C. Subsequent texts that show how the Jewish community theologized on these matters. A selection from many available. Deut 4:40 – In this verse is embodied the ongoing paradox of Israel’s relationship with the Land. On the one hand God says that it is a Land that he is giving to the children of Israel for all time. On the other hand, their enjoyment of the Land is dependent upon their obedience, as is their tenancy in the Land—if they are disobedient, they can be exiled without forfeiting or nullifying the fact that the land is their ongoing inheritance. Once of God’s holy ones possessing the kingdom forever and ever [Daniel 7:18], where this phrase [in its Aramaic equivalent] is clearly marked as an intensification or more likely a superlative beyond simply olam (almaya in Aramaic]. This is crucial for demonstrating that this doubled use of “olam” extends the meaning beyond the restrictions of that meaning normally connected with “olam” when used singly. Biblical Hebrew usage simply has no stronger way to say that the Land is given to Israel as a perpetual inheritance. This argument is very strong. D.	Brief position statement by way of answering the question with which we began. The Land of Israel is part of the cosmos which in its entirety belongs to the Creator God. All inhabitants of any land do so as tenants by the sufferance of God who is the sole owner. This is true of course of the Land of Israel. Indeed, in Leviticus 25:23, the LORD tells Israel “The land shall not be sold permanently, for the land is mine; for you are strangers and sojourners with me.” In accordance with God’s promise to Abraham, Isaac and Jacob, and the repeated confirmations of this covenant throughout Scripture, especially our chair text, we conclude that the Land of Israel is given to the Patriarchs and their descendants through Jacob [the Jewish people] as a perpetual possession. While habitation of the Land is contingent upon obedience to Hashem, possession of the Land is based solely on patriarchal/matriarchal obedience and God’s irrevocable oath. Grounded theory is an inductive approach to formulating a theory which starts with an examination of the data, detecting and categorizing what one observes, and letting the theory emerge. This is to be contrasted with an approach which sets out to prove a theory by examining and categorizing the data, the deductive approach. I am experimenting with a grounded theory approach to studying the Bible, and I find it intensely interesting. In a recent and preliminary examination of multitudinous texts speaking of Israel’s relationship to the Land, three conclusions emerged I want to share with you for your thinking. While I recognize that some, perhaps many of you reading this, will be indifferent to or even hostile to what I report, at least you should know what the Bible appears to be saying before you dismiss it. And if you are going to attempt to refute what I report here, at least get acquainted with the position before attempting to refute it. And as for those of you amenable to what I will say, I urge you to get well-established not only in what you believe, but in the grounds for believing it. How else can you be an able proponent of the position your profess? So here are my preliminary findings. First, God promised a body of land to Abraham, Isaac, Jacob, and their descendants. From the very moment God called Abram (later, Abraham) to leave Ur of the Chaldeans as bearer of what would henceforth be called the Abrahamic Covenant, we find the promise of the Land to be at the forefront. “Get out of your country, and leave your father’s house, and go to the land I will show you” (Gen 12:1). This promise was then extended to Isaac (Gn 26:3-4), to Abraham’s grandson, Jacob (Gn 28:4, 13; 35:12), and also extended to their offspring, the Jewish people (Gn 48:4; 50:24). And although there are a cluster of benefits embodied in this, the Abrahamic Covenant, the Land is at the forefront (see, for example, Gn 13:14-15). 13 For when God made a promise to Abraham, since he had no one greater by whom to swear, he swore by himself, 14 saying, “Surely I will bless you and multiply you.” 15 And thus Abraham, having patiently waited, obtained the promise. 16 For people swear by something greater than themselves, and in all their disputes an oath is final for confirmation. 17 So when God desired to show more convincingly to the heirs of the promise the unchangeable character of his purpose, he guaranteed it with an oath, 18 so that by two unchangeable things, in which it is impossible for God to lie, we who have fled for refuge might have strong encouragement to hold fast to the hope set before us (6:13-18). Third, God said that in the end, even after exiling this people from that Land, he would bring us back. As Jeremiah puts it succinctly, “He who scattered Israel will gather him, and will keep him as a shepherd keeps his flock” (Jer 31:10). Many passages speak of this, among them, Deut 30:1-10; Isa 14:1-2; Jer 23:7-8; 29:10-14; 31:7-14; 32:36-41; Ezek 36:22-38; 37:21; and 39:25-29. I will be looking more fully at some of these regathering texts in a soon-coming lesson, and whether these regathering promises were exhausted in the return from the Babylonian Captivity. But for now it is crucial to remember not only that God promised the Land to the children of Jacob, he guaranteed this promise with an oath, and he promised that at the end of days he will bring this people back to this Land in vindication of His own name. These three strands of argument deserve to be studied and relied upon in discussions of the Jewish people and the Land of Israel. The Bible tells us a three-strand cord is not easily broken. 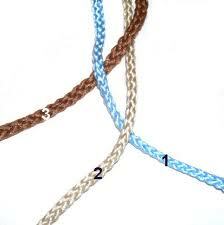 In these three avenues of argument, we indeed have a three-strand cord. Rely upon it: it will hold you up.